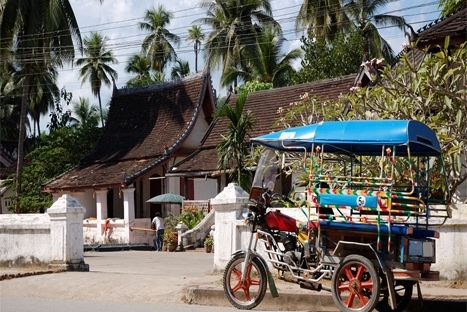 Luang Prabang, a UNESCO World Heritage city, is an outstanding example of the fusion of Lao traditional architecture and its urban structure built by the European colonial authorities in the 19 century. Luang Prabang’s unique and remarkably well-preserved townscape illustrates a key stage in the blending of these two distinct cultural traditions. Highlights include impressive temples like Vat Visoun, Vat Aham, Vat Xieng Thong, and a weaving village at Ban Phanom, for a half-day trip. The full-day trip includes visits to the National Museum, Central Market, and a spectacular sunset view over the Mekong. Visit Vat Visoun, the site of an impressive stupa, That Makmo, stylistically more Srilankalese than Lao. Then walk to the nearby Vat Aham, which is one of the city’s major tutelary shrines. Climb Vat Phousi hill for an outstanding view over the city. Continue to visit Vat Sene and Vat Xieng Thong, considered as the most beautiful temple. Next, drive to visit Ban Phanom, a weaving village populated by Thai Lu. After lunch at Un Petit Nid Restaurant, visit the National Museum (former King’s Palace) displaying a collection of personal artifacts of the Royal Family. 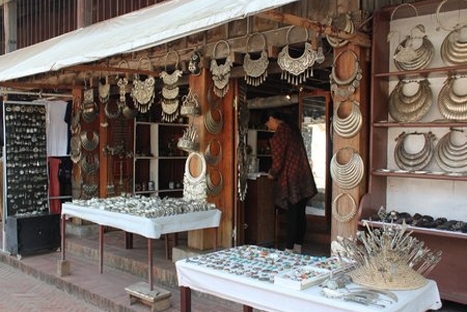 Then stroll through the lively Central Market where the ethnic minorities of the surroundings come daily to trade their goods. Drive to Ban Xang Khong village to see how traditional Sa paper is made. View the sunset from the banks of the Mekong River. - Meal 1 lunch (Only for full day tour).